Should we be concerned about the state of Steam? 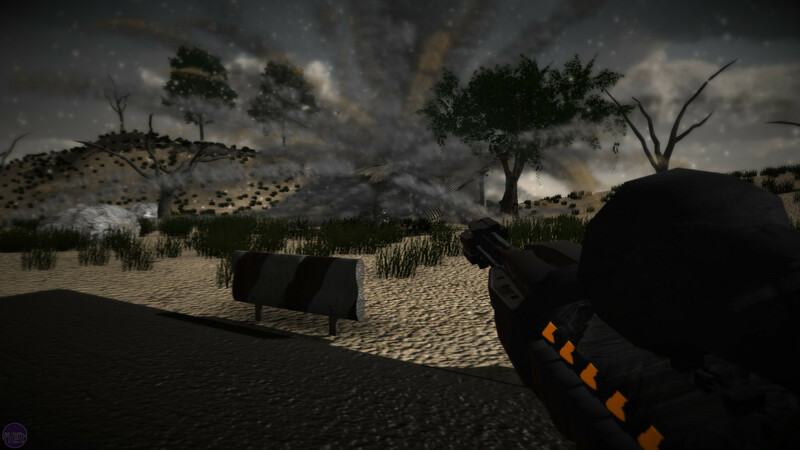 Earlier this week the post-apocalypse FPS Earth: Year 2066 was withdrawn from sale on Steam. 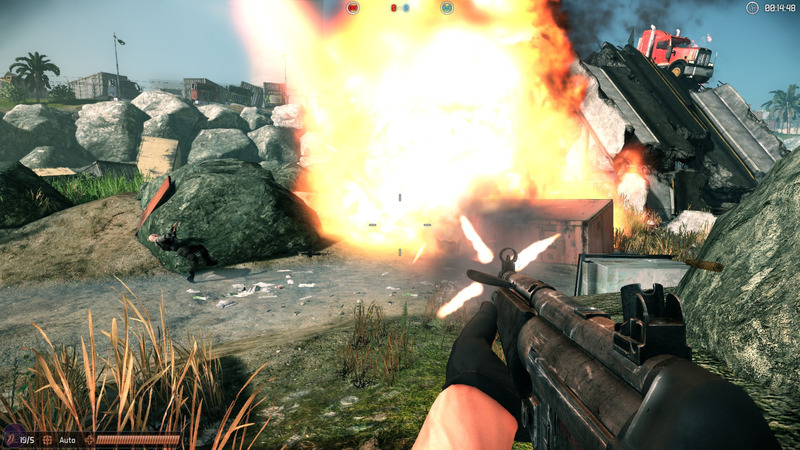 The game had come under fire from fans and journalists alike on account of being severely underdeveloped even for an Early Access title, and misleading players about its rudimentary and broken state on the product page. This came to a head on the sixth of May when Valve dubbed the game a scam and removed all mention of it from the service. Earth: Year 2066 isn't the only steaming plate of rubbish served to players through Steam lately. This has been highlighted by Escapist Reviews Editor Jim Sterling, who has spent the past few months slowly shovelling his way through the mounting pile of excrement which alongside 2066 include the likes of Overcast: Walden and the Werewolf, the multiplayer FPS Rekoil, and Day One: Garry's Incident. 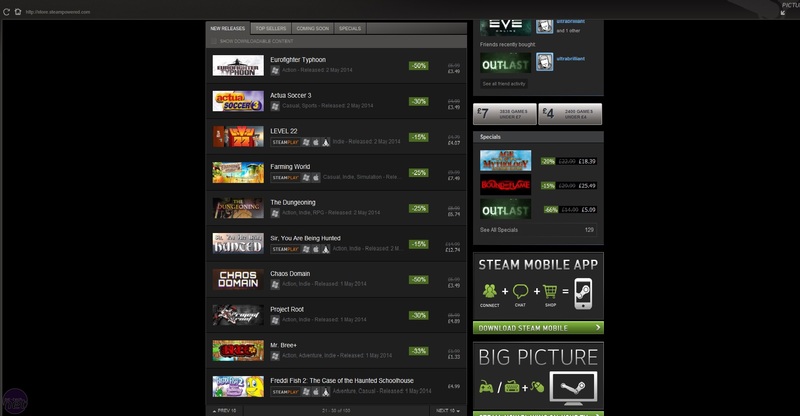 All as part of an effort to demonstrate that Steam needs better quality control. But Steam's problems don't end with publishing a growing number of games that should never have been put up for sale. These dreadfully designed and barely functional lumps of code are launched alongside your mainstream titles, indie games, Early Access releases and entire publisher back-catalogues, including such memorable classics as "Actua Soccer3" and "Eurofighter Typhoon". Up to this point these have all been clumped together under the rather confusing category of "New Releases". Eighteen months ago very few of them would have seen the light of day on the service. This tsunami of titles has come about as a consequence of a change in policy at Valve which began with the creation of the Early Access model. Basically, Valve no longer want to be the gatekeepers of Steam. Instead they want to give developers and publishers complete control over how their games are released and marketed on the service. And this is a problem. The issue doesn't stem from Valve's intent. The company's position is in many ways an admirable one. When most publishers and distributors are becoming increasingly draconian, obsessed with controlling how games are seen, played, produced and marketed right down to the smallest detail, usually to the inconvenience of both developers and players (just try using Ubisoft's Uplay service if you want to understand what I'm getting at), Valve's open and relaxed approach is certainly more benign. It's also understandable when you consider how Steam Greenlight has failed as a way to measure which indie games deserve a full Steam release. But there's a fundamental contradiction at the heart of how Valve want to be seen as and what they are, while giving companies that aren't Valve Valve-like powers on Steam is a terrible idea. As was the case with Earth 2066, Valve's waiving of all responsibility for publishing and marketing on Steam means that players have to police the service themselves when unscrupulous developers take advantage. 2066 was only taken down after an extended campaign on Reddit. This is an unfair position to place players in, especially when developers have the power to modify edit and censor their own Steam communities as according to their will. In addition, despite their exhortations of giving developers a free market, Valve ultimately had to step in to take Earth: Year 2066 down. This is always going to be the case. No matter how much Gabe Newell wants Steam to look like a democracy, Valve will always have the final say on what the service offers and how it can be used. So vetting such games in the first place, giving them a brief overview to at least make sure the game has some intrinsic value to it would immediately prevent these dodgy titles from exploiting unwary players, and prevention is always better than cure. It might be argued at this point that there are simply too many games for Valve to realistically do this, but Valve isn't exactly short on resources, so hiring a few people to perform basic quality control doesn't seem like too much to ask. They wouldn't have to judge whether the game is good or not, just ensure it isn't broken like a tumble-dryer filled with spanners before it launches. Steam allowing anything under the sun to feature on its pages. While it might be easier for developers to get their games onto Steam, getting them noticed is another matter altogether. Locating quality titles amid the shovelware, half-finished Early Access games and re-released titles from twenty years ago is already becoming a challenge, even for someone whose job it is to do precisely that. For customers simply looking for something fun to play, Steam's marketplace must be utterly bewildering, and it's no surprise that players are buying into games that aren't what they initially believe them to be. This is assuming developers are open and honest about what they are selling, which recent events have proved is not always the case. As players struggle to purchase the games they want in a marketplace where quality and truth are increasingly hard to guarantee, the inevitable consequence is that developers will struggle to sell them. Only a few days ago the developer of the Early Access city-building game Towns claimed the game isn't selling as well as they need it to, and so development has ceased. Whether this stated reason is true or not we obviously can't be certain (Towns sold around 200,000 copies, which seems like a substantial number), but either way this kind of event only further damages trust between Steam and its customers, and so the vicious cycle continues. It doesn't help that there are no guarantees for customers regarding the completion of Early Access games. Valve has historically acted toward its customer base in a benevolent fashion. At least, as benevolent as you can expect a large company with almost complete control over a highly profitable market to be anyway. They're also a company that likes to experiment, and that experimentation has resulted in lots of great things - Steam sales and the enormous success of Dota 2 to name just two. But it's these two traits have also resulted in Steam's current messy and less trustworthy condition. Valve has assumed that every developer and publisher will behave as ethically as it does, relying on honesty and goodwill to support their plans. The sad truth is there will always be individuals looking to exploit such open platforms for the sake of a quick buck, and Valve has decided to open the floodgates to them and see what happens. Recently, Valve has taken some steps to address these problems. Early Access games have actually been removed from the "New Releases" tab on the front page, which is a good start in clearing those very muddy waters. But more needs to be done. At the very least, old games and new games should be distinct from one another, and some basic quality control ought to be put in place to prevent the very worst offenders from gaining an underserved platform. Giving developers freedom to create and market their products on Steam undoubtedly has its benefits, but those benefits should not exist to the detriment of those who ultimately purchase the games.